It is now winter. An unusually dry, exceptionally warm, almost a third over kind of winter. But still, winter. 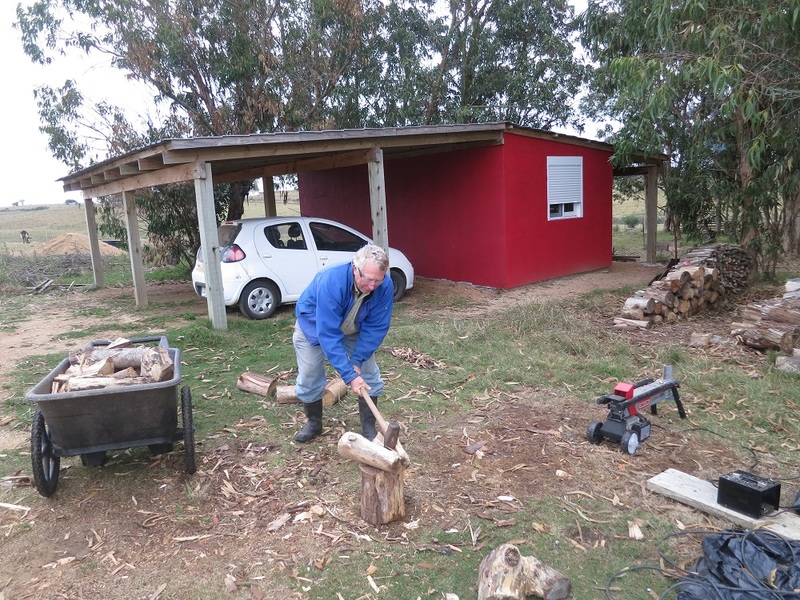 We heat the house with wood – as we only actually heat the house about three months out of the year the wood stove is really quite efficient. Heating with wood means chopping wood. Jon has had to do all the log splitting. Last year we purchased cut and dried eucalyptus, acacia, and a few other types of wood. It comes cut to size – but not split. Being smart, we’ve used all the wood that fit in the stove first – it’s just the last of the wood pile which needs to be spit as the logs are too big to fit the stove. Megan and I are not very good at splitting logs and Jon worries we will loose a limb. Not an irrational fear, sadly. So one day he came home with a new toy for us! 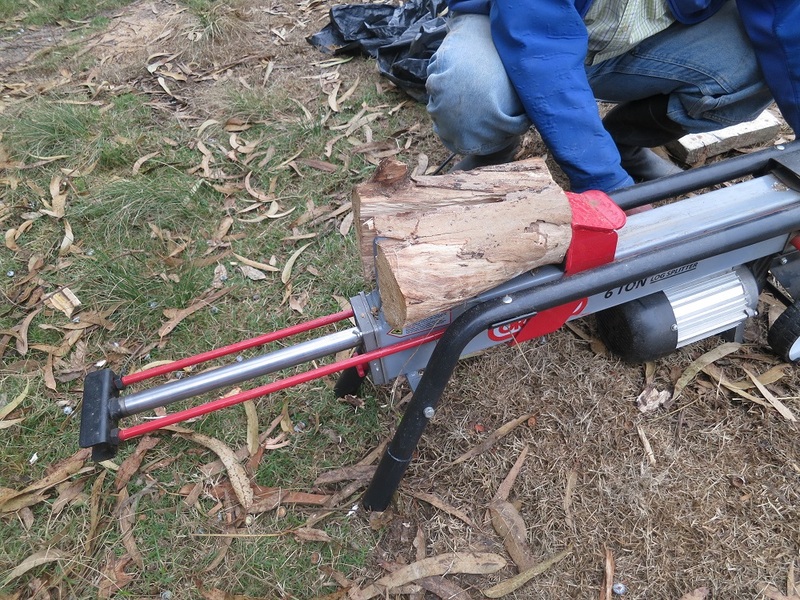 It is an electric log splitter. He even remembered to purchase the generator to go along with it. He chose the style carefully, we do not have to use gas to operate it, not is it so powerful that we might hurt ourselves. The splitter doesn’t quite finish the job. It is difficult to pull the log apart the last little bit, so Jon takes the hatchet to it. Well, it will work for the women in a pinch, otherwise it will remain Jon’s job. Or Alejandro and Oscar’s. As they were both quite insulted that we thought a mechanical tool could do a better job than they could. Please note that they weren’t interested in splitting wood before we bought the log splitter. 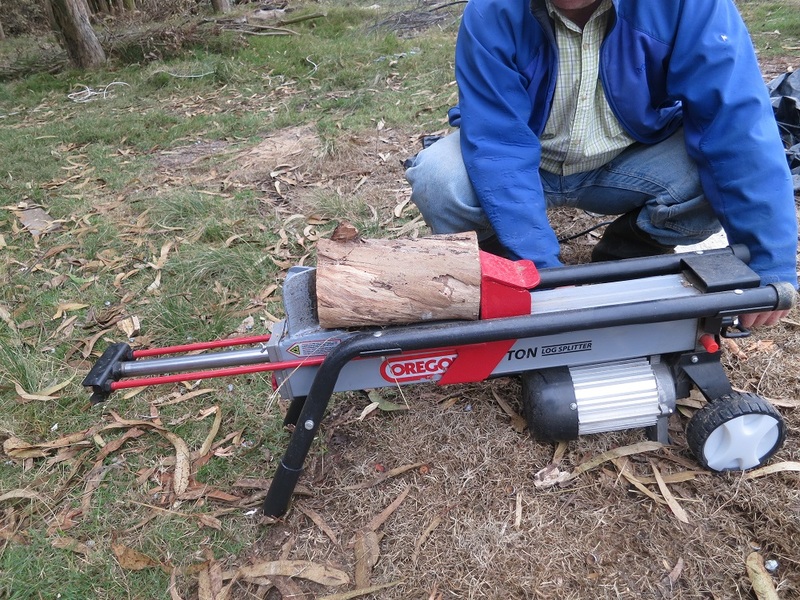 Now that we have it they’ll split the logs before they let Megan or I use the log splitter.